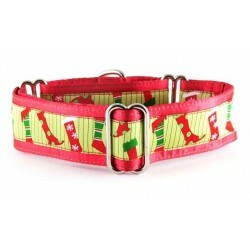 Christmas Collar Collection There are 48 products. 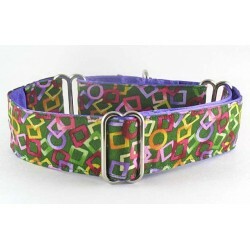 Church Windows martingale or snap-relase buckle dog collar. 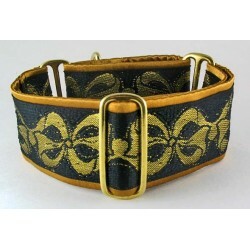 Reds, royal blue, black and strands of gold metallic threads weave through this Renaissance inspired jacquard. 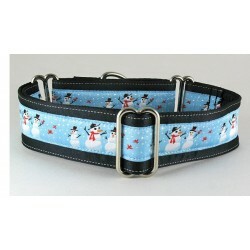 Frosty martingale or snap-buckle dog collar displaying a delightful snowman family on a background of soft blue. 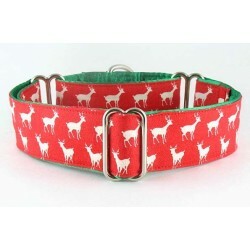 Gingerbread Folks martingale or snap-buckle dog collar complete with a festive, Gingerbread Boys and Girls fabric in shades of tan and brown. 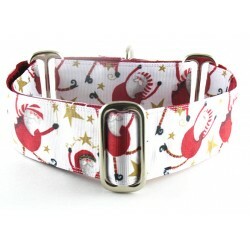 Red candy cane accents are splashed throughout. 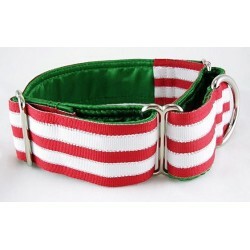 Here Comes Santa Klaus martingale or snap-buckle dog collar decorated with a woven Santa Klaus trim and accented with Candy Canes. 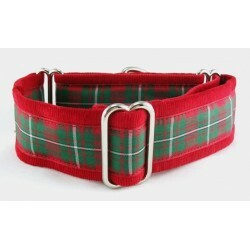 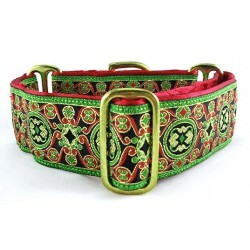 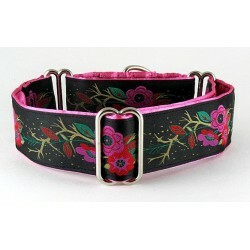 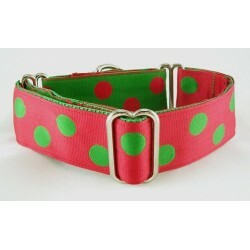 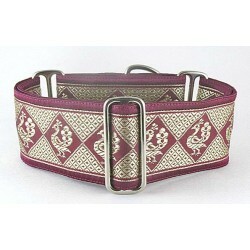 Holly Bough martingale or snap-release buckle dog collar attired in a festive Holly print and a touch of gold sparkle. 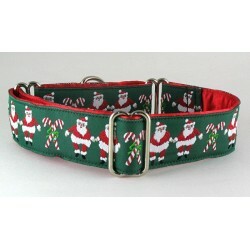 Jolly Stockings martingale or snap-buckle dog collar decked out, wearing whimsical hanging Christmas stockings!! 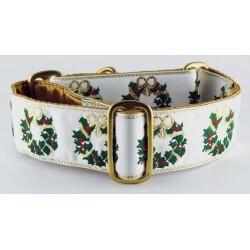 Jubilee Wreath martingale or snap-release buckle collar surrounded with holiday wreaths and plenty of sparkle. 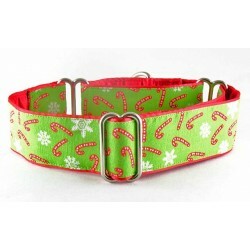 Kris Cross Canes martingale or snap-relase buckle dog collar wearing a Candy Cane theme and wrapped with a green satin lining. 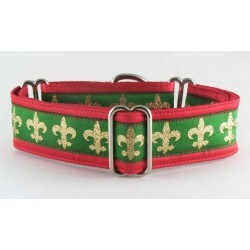 Leaping Santa a martingale or snap-release buckle dog collar wearing a very festive St. Nick on a white background with Golden Stars.